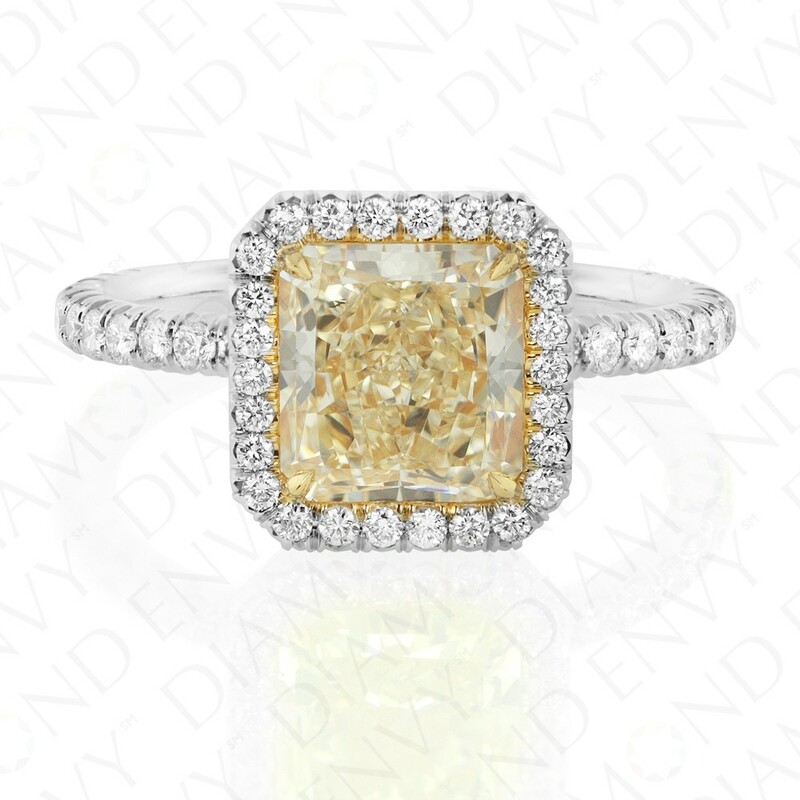 This classically feminine ring features a 2.06 carat VS1 radiant cut Y to Z Range yellow diamond framed by a halo of 26 F-G VS1-VS2 round diamonds. 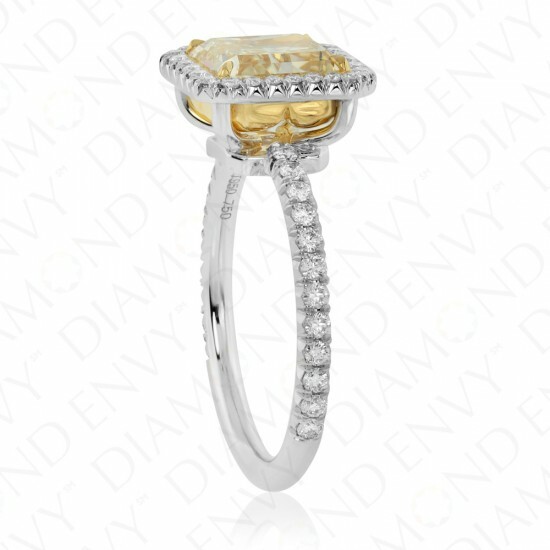 Twenty-four F-G VS1-VS2 round diamonds accent the shoulders of the shank. 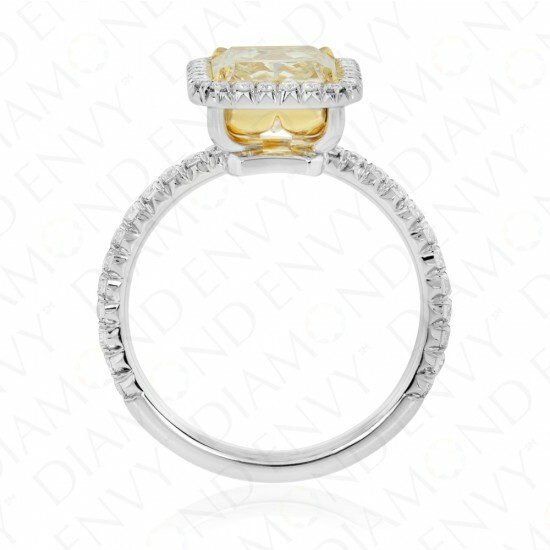 Round diamonds total 50 pieces, 0.47 ct. tw. Metal weight: 5.56 grams. Center stone is GIA-certified.